New Rig Tension gauges for repeatable rig settings – aids race set up and preparation. 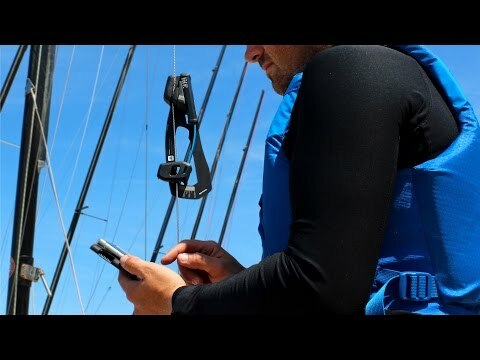 Rig-Sense is a new rig tension device for measuring the loads in wire or rope on dinghies and small keelboats. Rig-Sense is simple to use, measuring the tension directly in kilogrammes. Rig-Sense also benefits from being able to be operated one handed, supporting itself on the rig whilst being used. Quality parts ensure long term performance, consistent and accurate readings over time. Read our Rig Tuning Guide for more advice. Free Rig Sense App allows users to work efficiently with their gauge, store and manage their data in a single place on smart phones and tablets. Rig-Sense App (iOS and Android) - Using the Rig Sense, record data of critical settings to ensure repeatable race settings over differing conditions. Create custom templates to build settings from, add images and share and export data for later analysis with your class. Sorry, but this item is out of stock right now.